Discussion in 'Miscellaneous Items' started by angelofmercy, Apr 5, 2019. Consider your project, its purpose and how you want it to appear. Collect all the parts of your production in Video Detailer. Organize, edit and adjust your video parts into a cohesive production. Export your video for distribution and use. User interface is straightforward. Easily find the tools you need. No complicated or useless features. Only the tools and effects you need. You don't need the excessive features of a complex video editor. 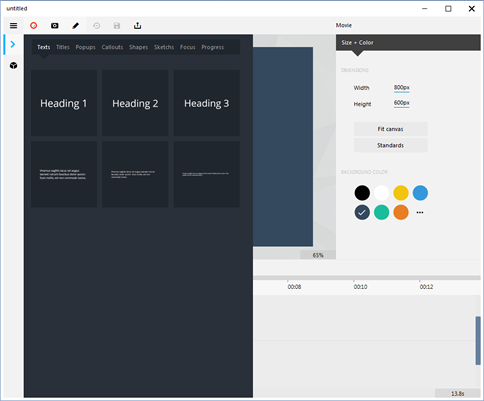 Back to simplicity - to create screencasts you only need a handful of core features. 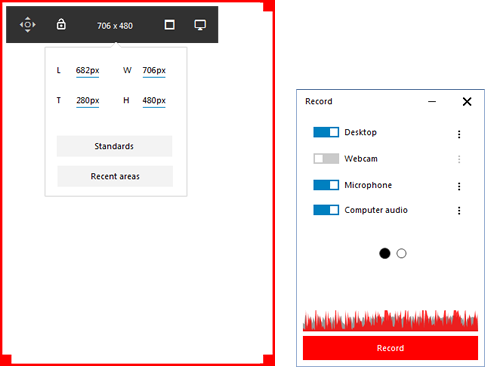 Record any part of your screen, snap to any active window, record your microphone and webcam. I've used many image and video editing tools and Video Detailer is by far the most elegant and well-designed product on the market. Powerful applications do not have to be complicated. Video Detailer is the perfect combination of excellent design and ease of use. Allowing users to create fantastic productions with minimal effort and time. Watch this short video to see how you can begin creating productions in a few quick clicks. Create professional screencasts and tutorials, with an amazing range of tools and animations. You're welcome mate. I actually enjoyed cracking this program.